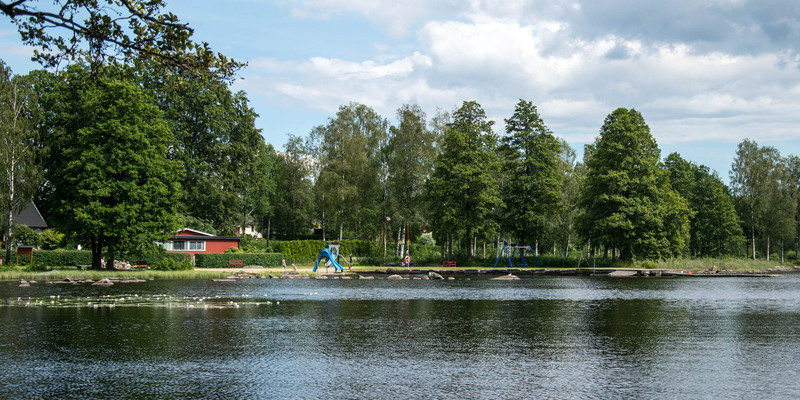 Södersjöns Badplats is a well-equipped municipal bathing place at the lake Södersjön in Kyrkhult, about 11 kilometers north of Olofström. 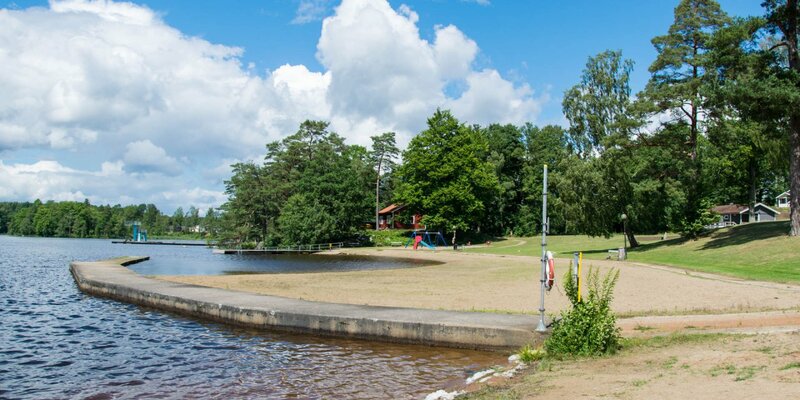 Located on the north shore of the almost 0.3 square kilometers large Södersjön, the bathing place is equipped with everything needed for a bathing day in the summer. In front of the small, clean sandy beach is a large lawn with some trees, which allow a retreat into the shade if necessary. There is an L-shaped bathing bridge and a small water slide as well as some playground equipment such as swings. 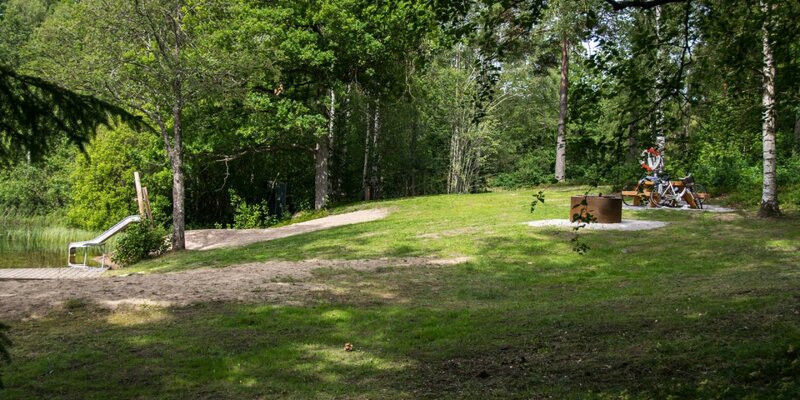 There are picnic tables on the lawn and a barbeque area is also available. Besides a handicapped accessible toilet facility with two modern toilets, there is also a separate cabin with changing rooms.